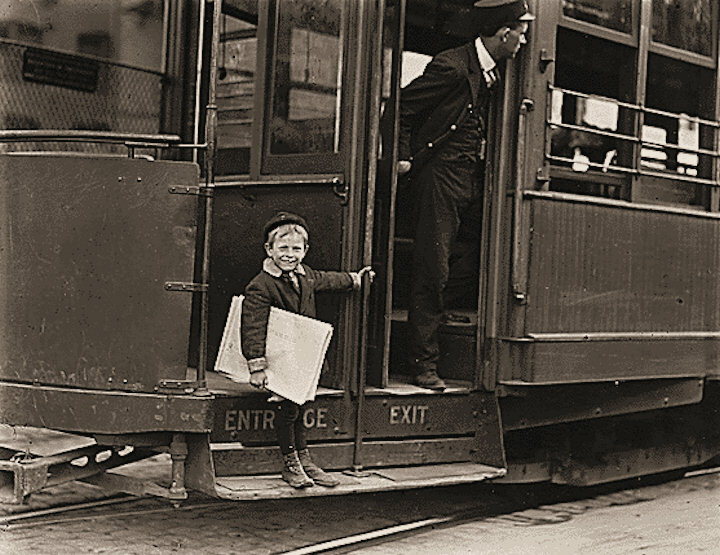 Newsies: Francis Lance, 5 years old, 41 inches high. He jumps on and off moving trolley cars at the risk of his life. St. Louis, Missouri.